Dr. Andrew Kestler. Photo credit: Vancouver Sun. 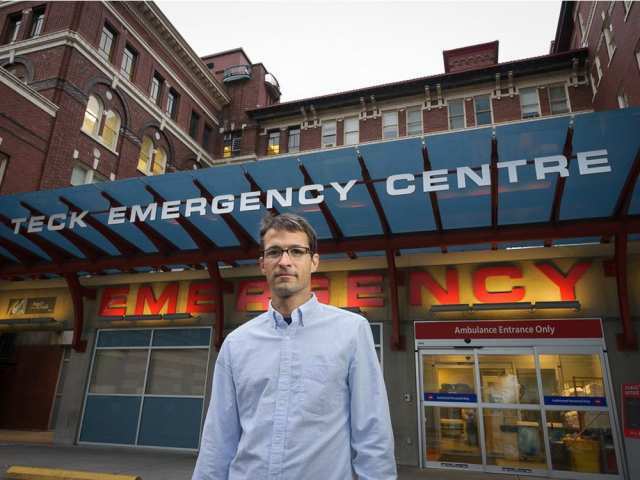 A first-of-its-kind pilot project is underway at St. Paul’s ED, in collaboration with the VCH Regional Addiction Program, providing opioid overdose patients with takeaway doses of suboxone upon discharge. Patients are given a three day supply of the opioid substitute treatment, along with instructions on how to take the medication. Patients must be in a sufficient state of withdrawal to start Suboxone. By letting patients take the dose with them, the barrier to treatment is reduced for patients uncomfortable with hospital stays. The team, co-led by DEM faculty member Andrew Kestler, is already sharing ideas and protocols with interested ED’s around BC. If the pilot program proves successful they plan to initiate broader implementation across the province. Updates on the project will be posted in this space when available.